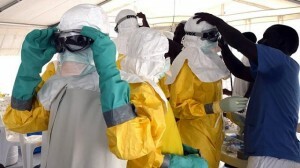 THAILAND - According to the Strait Times, Thailand's Siriraj Hospital has developed a vaccine for the deadly Ebola virus, its state news agency reported on Monday. According to the National News Bureau of Thailand, a team of doctors from the hospital's Faculty of Medicine at Mahidol University has reportedly developed a formula that will trigger antibodies to fight the virus, for which there is currently no known cure. The Ebola epidemic has claimed more than 3,000 lives mostly in West Africa, in countries with the least resources to combat the disease. The United Nations has estimated that nearly US$1 billion (S$1.27 billion) will be required to fight it effectively. Global health officials say experimental vaccines could ready for use early next year. GlaxoSmithKline and NewLink Genetics Corp both have formulas due for trials. Meanwhile, Siriraj's Faculty of Medicine will hold a press conference about its breakthrough on Oct 2.